Recently, a very rare gramophone appears in Xiaomi grocery store. A group of people who have a special love for it are very happy about that. 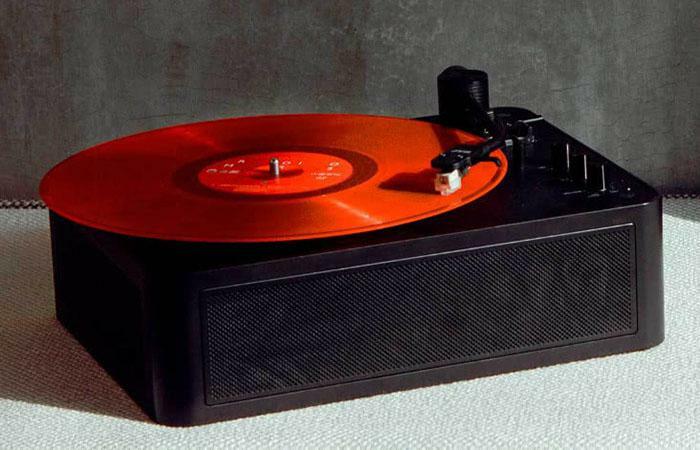 On the basis of the old model, this record player has incorporated many technological elements to make it different. Read also: Grab The Xiaomi Foldable Walking Mijia WalkingPad (Gym Indoor Fitness Equipment) For Just $389.99(Coupon)? 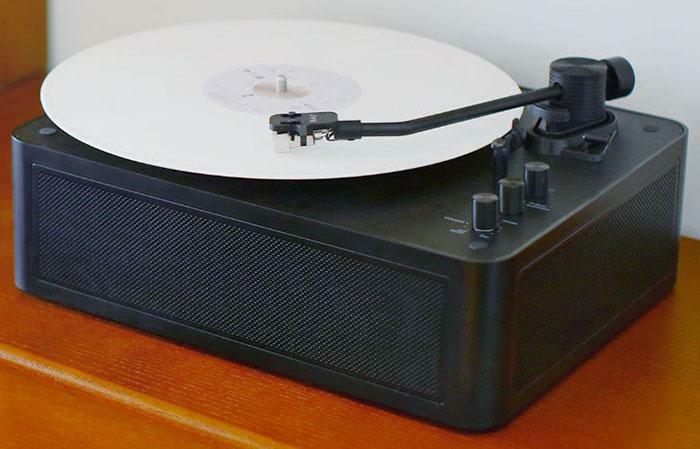 The gramophone is called JYK Play Bluetooth vinyl record player. 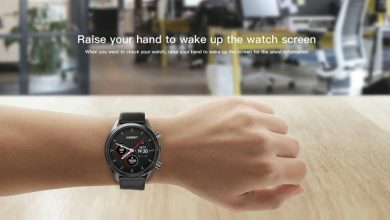 The whole speaker of the player adopts the integrated playback design, which simplifies the original complex mechanical structure of the phonograph and replaces the mechanical design by electronic hardware. 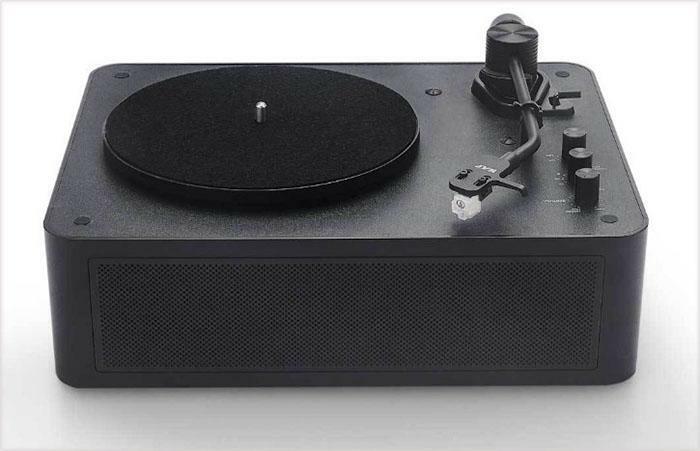 The overall design of the record player is box-shaped. It is black all over and has a metallic texture. The accessories include the standard head and arm of the record player. 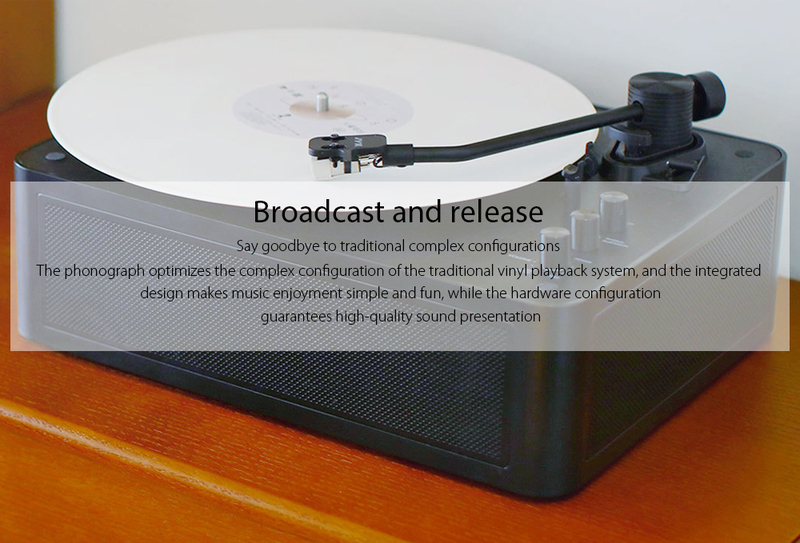 In order to ensure the original flavor of the recorder, the JYK Play Bluetooth vinyl record player adopts the original MM magnetic head with iron triangle and metal movable arm. When we use the player, we need to place the vinyl record under the arm. The record produces sound through the head of player arm and then enlarges the sound through the speaker body. 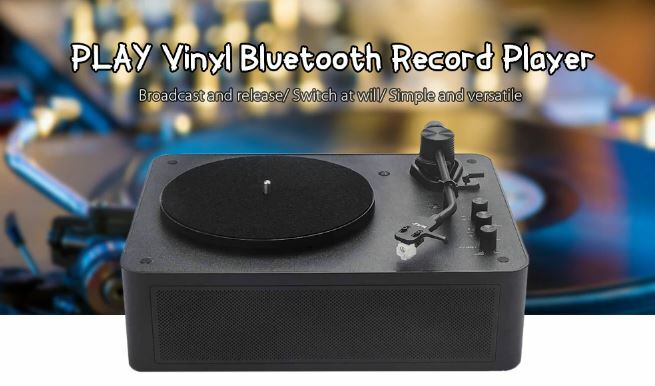 Compared with the original record player, the JYK Play Bluetooth vinyl record player is more technological and smaller. However, in the sense of music, it may be different from the real record player.